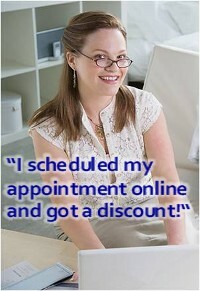 Click Here To Schedule Appliance Repair Online and Get 10% Discount! If the dishes are not getting clean. 1. Make sure the water is hot enough. It should be at least 140 degrees, which is hot enough to burn you - VERY HOT! If it is not hot enough, turn the hot water heater thermostat up to a higher setting. 4. Make sure you are following the proper loading procedures. Use the proper amount of detergent and make sure the detergent is fresh (check expiration or "best if used by" date). 5. Mold may grow in your dishwasher if you use it infrequently. The mold can be removed by using the normal dishwasher detergent and running the dishwasher, preferably without any dishes. If the door isn't closing. 1. Make sure the latch assembly is unrestricted and latching properly. Make sure nothing is blocking the door from opening and closing properly. 1. Air Gap is clogged. Unscrew top cap and see if there is anything blocking it. 2. Drain hose is clogged Remove and clean the hose. If the unit is leaking. 1. Make sure you are following the proper loading procedures, including proper type and amounts of detergents. Run the unit through cycle while empty - if it doesn't leak, it's probably a loading problem. 2. Make sure the racks are positioned properly. 3. Make sure the door is unrestricted around the opening. • Important Tip - Never overload the machine. • Important Tip - Do not pack the freezer.